Step out of the city life by going to Dolphin & Whale Watching and Caversham Wildlife Park. 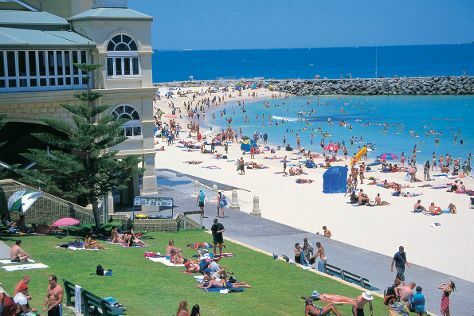 Visit Cottesloe Beach and Scarborough Beach for some beach relaxation. Explore Perth's surroundings by going to Fremantle (Japingka Gallery, Fremantle Prison, & more). And it doesn't end there: contemplate the long history of The Perth Mint, appreciate the history behind Kings Park War Memorial, get engrossed in the history at The Sacred India Gallery, and take in the architecture and atmosphere at St John's Anglican Church, Fremantle. To see other places to visit and other tourist information, read our Perth trip itinerary maker tool . Manchester, UK to Perth is an approximately 23-hour flight. Traveling from Manchester to Perth, you'll lose 8 hours due to the time zone difference. Traveling from Manchester in January, things will get much warmer in Perth: highs are around 38°C and lows about 20°C. Wrap up your sightseeing on the 28th (Tue) early enough to drive to Walpole. Walpole is a town in the south-western region of Western Australia, located approximately south southeast of Perth and west of Denmark.Location and descriptionWalpole lies very close to the northern point of the 100ha Walpole Inlet, from which it takes its name.The inlet in turn is named for the Walpole River, discovered in 1831 by Captain Thomas Bannister, and named by Governor Stirling for Captain W. Start off your visit on the 29th (Wed): browse the exhibits of Petrichor Gallery, then delve into the lush surroundings at Giant Tingle Tree, and then go for a walk through Valley of the Giants. On the 30th (Thu), you'll have a packed day of sightseeing: stroll through Mandalay Beach and then hike along Tree Top Walk. To find where to stay, photos, maps, and other tourist information, you can read our Walpole online travel route planner . Traveling by car from Perth to Walpole takes 5 hours. Alternatively, you can do a combination of flight and bus; or do a combination of train and bus. Wrap up your sightseeing by early afternoon on the 30th (Thu) to allow enough time to take a bus to Denmark. For reviews, traveler tips, photos, and other tourist information, read our Denmark online route planner . Getting from Walpole to Denmark by bus takes about an hour. Other options: drive. In January in Denmark, expect temperatures between 30°C during the day and 16°C at night. Wrap up your sightseeing on the 31st (Fri) to allow time to drive to Albany. On the 31st (Fri), examine the collection at National Anzac Centre, enjoy the sand and surf at Little Beach, then take in the architecture and atmosphere at The Church of Saint John the Evangelist, and finally explore the striking landscape at The Gap and Natural Bridge. For ratings, other places to visit, traveler tips, and tourist information, read Albany online trip planner . Traveling by car from Denmark to Albany takes an hour. Alternatively, you can take a bus. Expect a daytime high around 29°C in January, and nighttime lows around 16°C. 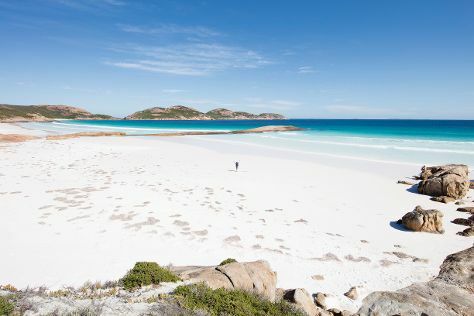 Wrap up your sightseeing on the 1st (Sat) to allow time to drive to Esperance. Esperance is a town in the Goldfields-Esperance region of Western Australia, on the Southern Ocean coastline approximately 720km east-southeast of the state capital, Perth. Start off your visit on the 1st (Sat): contemplate the long history of Esperance Stonehenge, then kick back and relax at Lucky Bay, and then stroll through Thistle Cove. Here are some ideas for day two: view the masterpieces at Cindy Poole Glass Gallery, enjoy the sand and surf at Twilight Bay, examine the collection at Esperance Museum, then look for gifts at Mermaid Leather, and finally don't miss a visit to Esperance Whale Tail. For traveler tips, more things to do, and tourist information, go to the Esperance travel itinerary planner. You can drive from Albany to Esperance in 5 hours. Other options are to fly; or take a bus. Expect a daytime high around 32°C in February, and nighttime lows around 17°C. Finish your sightseeing early on the 3rd (Mon) to allow enough time to drive to Kalgoorlie-Boulder. Start off your visit on the 3rd (Mon): contemplate the long history of Hannans North Tourist Mine, get great views at Mount Charlotte Reservoir and Lookout, examine the collection at Museum of the Goldfields, then explore and take pictures at The Superpit, and finally indulge your thirst for a good beer at Beaten Track Brewery. On the 4th (Tue), you'll have a packed day of sightseeing: get outside with Gold Prospecting Kalgoorlie. To find photos, maps, reviews, and other tourist information, read our Kalgoorlie-Boulder journey builder site . You can drive from Esperance to Kalgoorlie-Boulder in 5 hours. Another option is to take a bus. While traveling from Esperance, expect somewhat warmer days and about the same nights in Kalgoorlie-Boulder, ranging from highs of 38°C to lows of 20°C. Wrap up your sightseeing by early afternoon on the 4th (Tue) to allow enough time to travel to Cocklebiddy. Start off your visit on the 5th (Wed): look and learn at Eyre Bird Observatory. For traveler tips, reviews, ratings, and tourist information, read our Cocklebiddy itinerary maker app . Getting from Kalgoorlie-Boulder to Cocklebiddy by car takes about 6.5 hours. Other options: fly. Wrap up your sightseeing by early afternoon on the 5th (Wed) to allow time for travel to Venus Bay. Venus Bay is a small tourist and fishing town sited on the bay of the same name, on the Eyre Peninsula in South Australia. Your day-by-day itinerary now includes Baird Bay. Kick off your visit on the 17th (Mon): explore the fascinating underground world of Woolshed Cave and then explore the activities along Baird Bay. To find traveler tips, more things to do, maps, and more tourist information, use the Venus Bay trip planner . You can drive from Adelaide to Venus Bay in 7.5 hours. Another option is to fly. You'll set off for home on the 18th (Tue). Kick off your visit on the 8th (Sat): admire nature's extreme beauty at Breakaways Conservation Park, pause for some serene contemplation at Serbian Orthodox Church, then see the interesting displays at Old Timers Mine, and finally stop by Opalios. Here are some ideas for day two: see the interesting displays at Umoona Opal Mine & Museum, take in the architecture and atmosphere at Catacomb Church, and then look for all kinds of wild species at Josephine's Gallery & Kangaroo Orphanage. For more things to do, other places to visit, where to stay, and other tourist information, read Coober Pedy road trip website . Drive from Venus Bay to Coober Pedy in 9.5 hours. Alternatively, you can fly. In February in Coober Pedy, expect temperatures between 41°C during the day and 25°C at night. Finish your sightseeing early on the 9th (Sun) so you can travel to Port Augusta. On the 10th (Mon), admire the natural beauty at Homestead Gardens, learn about all things military at RSL Military Museum, then take in the exciting artwork at Port Augusta Cultural Centre - Yarta Purtli, then take in nature's colorful creations at Australian Arid Lands Botanic Garden, and finally get great views at Water Tower Lookout. To find more things to do, other places to visit, ratings, and tourist information, read our Port Augusta trip builder website . The Route module can help you plan travel from Coober Pedy to Port Augusta. In February, Port Augusta is slightly colder than Coober Pedy - with highs of 33°C and lows of 20°C. Finish up your sightseeing early on the 10th (Mon) so you can travel to Adelaide. Take a break from the city and head to Cleland Wildlife Park and Horseshoe Bay. Head to Adelaide Central Market and Rundle Mallfor plenty of shopping. 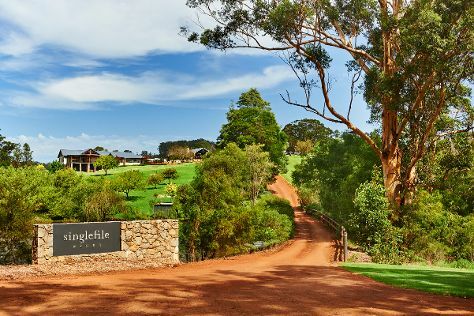 Get out of town with these interesting Adelaide side-trips: Carrickalinga Beach (in Carrickalinga), McLaren Vale (Hastwell & Lightfoot Cellar Door & McLaren Vale III Associates) and Aldinga Beach (in Aldinga Beach). Dedicate the 15th (Sat) to wine at some of the top wineries in the area. There's still lots to do: get a new perspective on nature at South Australian Museum, get to know the resident critters at Adelaide Zoo, explore the world behind art at Art Gallery of South Australia, and get engrossed in the history at State Library of South Australia. For ratings, maps, other places to visit, and other tourist information, refer to the Adelaide holiday planning tool . Getting from Port Augusta to Adelaide by car takes about 3.5 hours. In February in Adelaide, expect temperatures between 32°C during the day and 19°C at night. Wrap up your sightseeing on the 15th (Sat) early enough to travel to Sydney. 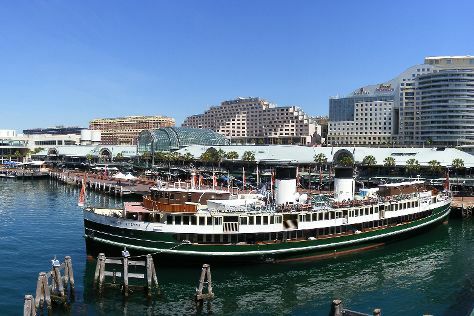 Kick off your visit on the 16th (Sun): take a stroll through Darling Harbour, then see a show at Sydney Opera House, and then discover the deep blue sea with a scuba or snorkeling tour. On the next day, browse the eclectic array of goods at Sydney Fish Market, stroll through Bondi Beach, and then enjoy the sand and surf at Clovelly Beach. For photos and more tourist information, refer to the Sydney online trip itinerary planner . Fly from Adelaide to Sydney in 4.5 hours. Alternatively, you can drive; or take a bus. Traveling from Adelaide in February, expect a bit warmer with lows of 23°C in Sydney. Cap off your sightseeing on the 17th (Mon) early enough to travel back home.